What do you believe is the most important action a business leader can take to build trust with his/her stakeholders? Why? Because extending trust generates a reciprocity of trust. When we give it, people receive it—and then they return it. When we withhold it, they withhold it. What we do speaks far more loudly than what we say. By constantly putting trust questions on the agenda, like “Are we building trust with what we are doing here?” everyone will begin to understand and take action on building trust. Day-in and day-out, night-in and night-out, weekends and holidays. Being authentic and living with integrity builds trust in business and everywhere else. Initiate conversations and find ways to add value. Think about the impact of every decision on every stakeholder, and act in their best interests as well as your own. of his/her business, and openly share the findings with employees, stakeholders and more. Dave Ulrich, a professor at the Ross School of Business (University of Michigan) and co-founder of the RBL Group, found it hard to pick one thing so we picked it for him! Avoid leadership hypocrisy…do what you say. Share personal feelings. Tell your stakeholders what you are trying to accomplish and why; then demonstrate progress towards a goal. That involves others in the process, widens the circle of influence and interaction, and builds lasting trust. Find the truth, tell that truth, act on it promptly in an environment where values matter at least as much as profits and gain. Candor: truth with an attitude told right now is the basic building block of Trust. Establish full-cycle mechanisms to ensure that the organizations’ promises will be met, including communicating success. Building stakeholder trust first begins with leadership recognition that trust is critical to long-term organizational success. This means making trust a leading business focus in both the Board & C-Suite, reinforcing the trust imperative, and always leading by example. Thank you to all our contributors. 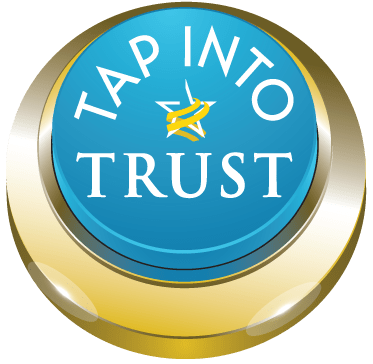 May 2017 bring increasing stakeholder trust to your organization! Barbara Brooks Kimmel is the CEO and Cofounder of Trust Across America-Trust Around the World whose mission is to help organizations build trust. Now in its seventh year, the program’s proprietary FACTS® Framework ranks and measures the trustworthiness of over 2,000 U.S. public companies on five quantitative indicators of trust. Barbara is also the editor of the award-winning TRUST INC. book series and a Managing Member at FACTS® Asset Management, a New Jersey registered investment advisor. Copyright (c) 2016, Next Decade, Inc.